WST – the school travel company that was voted Best School Tour Operator at the School Travel Awards – has launched a competition to give away a school trip to London. 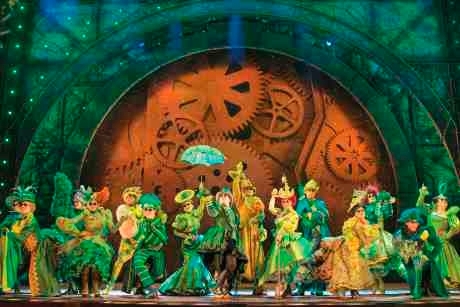 The prize is a day trip to London for a class of up to 40 pupils and five adults that includes transport to and from the capital, a performance of Wicked, and a meal at a restaurant close to the theatre. The competition is now live and open to classes in years 7 to 10. WST is asking teachers to simply explain in around 200 words why their pupils deserve to win the prize, and include a photo with their entry. Teachers might describe how their pupils have been working really hard all year and deserve some recognition. Or perhaps they have spent time helping out in the local community. Maybe they have simply never had the chance to see a show in the West End. In addition, teachers should mention what positive outcomes they would foresee from winning the prize. Entries can be made through the WST website. The competition will close on Sunday 12th February. A shortlist of the best entries will be drawn up then the general public will vote for the winner during two weeks of voting. Schools will be encouraged to reach out to their own followers and get people to vote for them by creating a buzz on social media sites like twitter. WST School Travel provides educational trip experiences in the UK, Europe and beyond, in subjects from History, Modern Foreign Languages and Science to Technology, Geography and Psychology. Every school trip is tailored and the combined experience of staff at the company adds up to more than 300 years. To find out more about WST visit www.wsttravel.com.